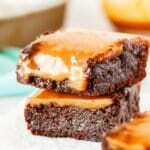 This Caramel Brownies recipe is so simple and delicious! 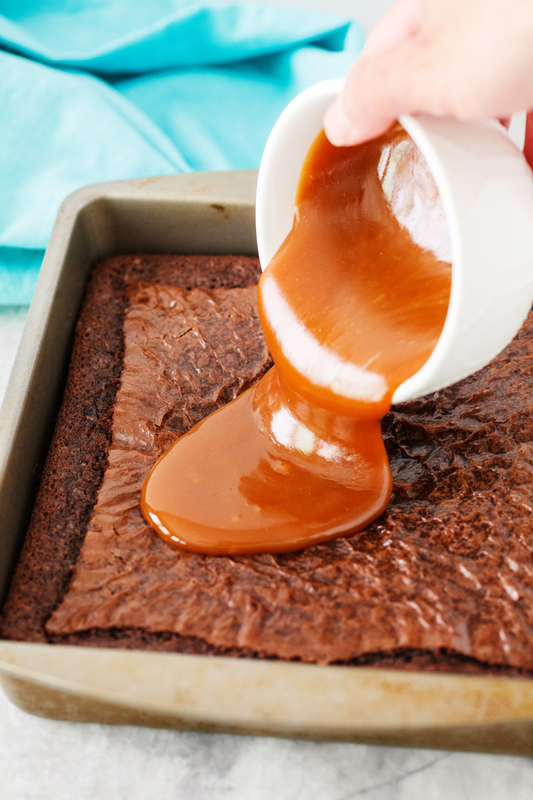 It starts with a brownie mix and then topped with a delicious homemade caramel sauce. Add a dash of salt for a salted caramel brownie version. 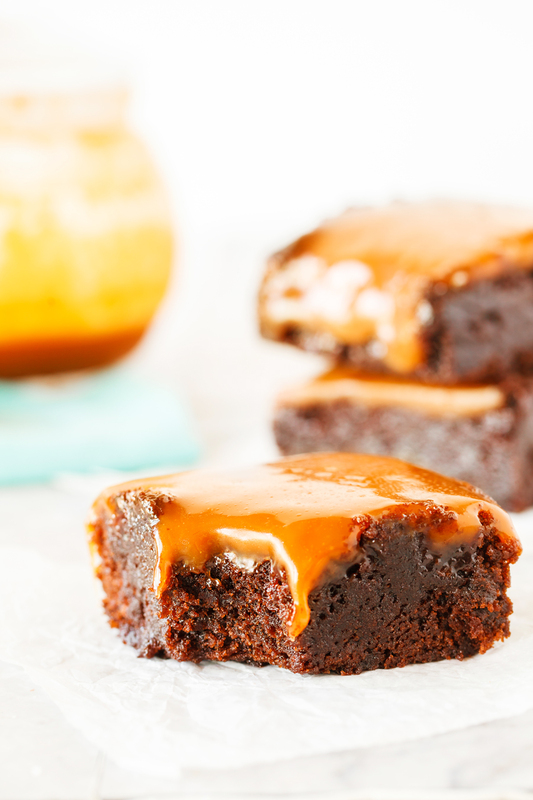 Brownies and caramel, do I really need to tempt you farther than those words? 🙂 These caramel brownies are a decadent dessert and don’t take much time at all to make. I love semi-homemade recipes and this is one of them that blend homemade with a quick fix base. I’m a big fan of box brownie mixes, they are quick, delicious and they are the perfect base for this yummy treat. 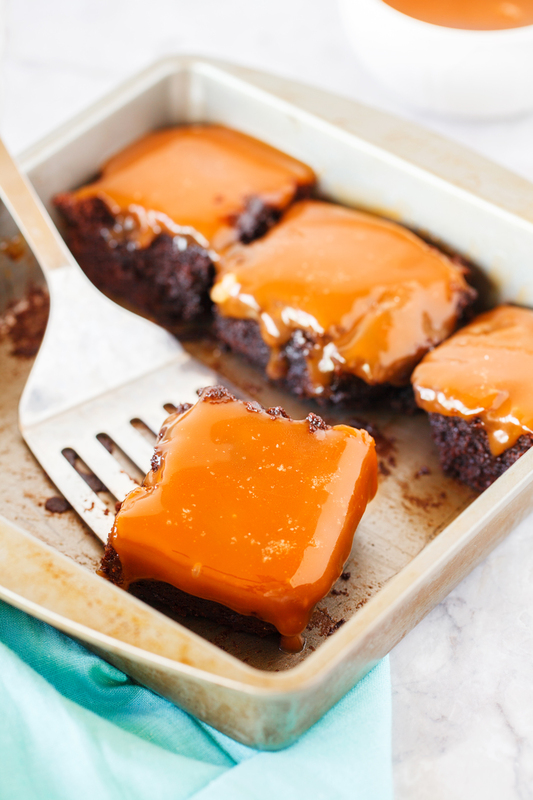 For these caramel brownies I prefer to bake them in a pan smaller than a 9×13, which is typically my go to for brownies. Baking them in a smaller pan allows the brownie to be thicker and the amount of caramel you will make fits an 8×8 in pan much better. 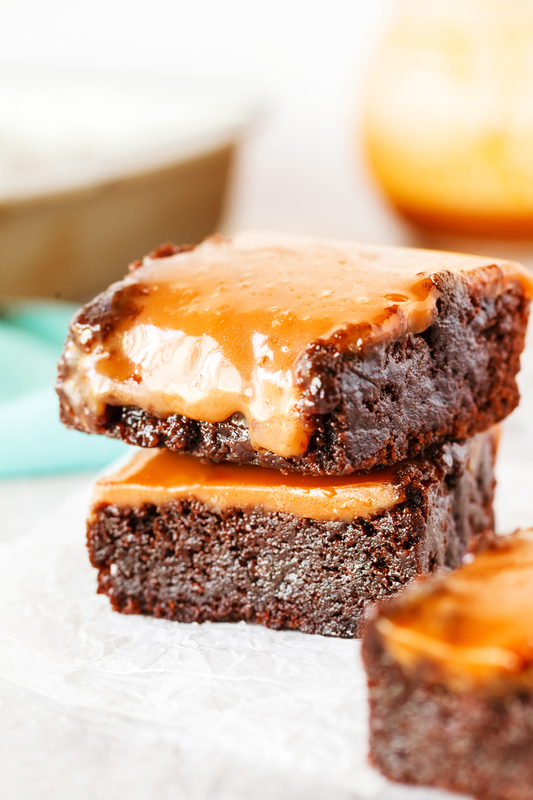 The homemade caramel sauce is a delicious topping for these brownies and really doesn’t take long to make. 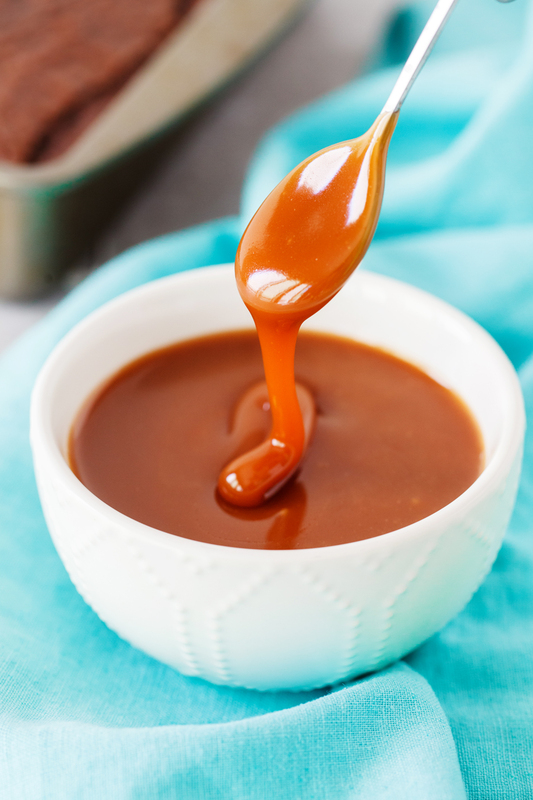 You can use the caramel sauce for topping on ice cream and other desserts as well. It’s delicious. In a large saucepan and over medium heat mix together water and granulated sugar. Cook until sugar has turned into an amber color, roughly 10 to 12 minutes. Slowly add in butter, being careful so the sugar doesn’t splatter. Use a whisk and cook for roughly 2-3 minutes. Very slowly add the heavy cream, stirring constantly. Allow mixture to boil for about 1 minute more. It will rise as it boils so keep an eye on it. Remove from heat and stir in salt and vanilla. Allow to cool before using.